Patrizia is professor of food chemistry at the University of Milan (IT). She coordinated PlantLIBRA focusing on the scientific work and ensured dissemination of scientific results. She is responsible for scientific questions. Luca is Managing Director at Hylobates Consulting, Rome. As PlantLIBRA’s project manager, with EuroFIR, he is made sure the outputs and activities of the project were available to stakeholders. Please contact Luca or EuroFIR for any practical or service-related questions. 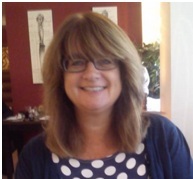 Jenny is Bioactives Database Manager at Food Databanks National Capability at the Institute of Food Research (UK). She has led the team of researchers who developed ePlantLIBRA. Please contact Jenny for scientific questions related to ePLantLIBRA.